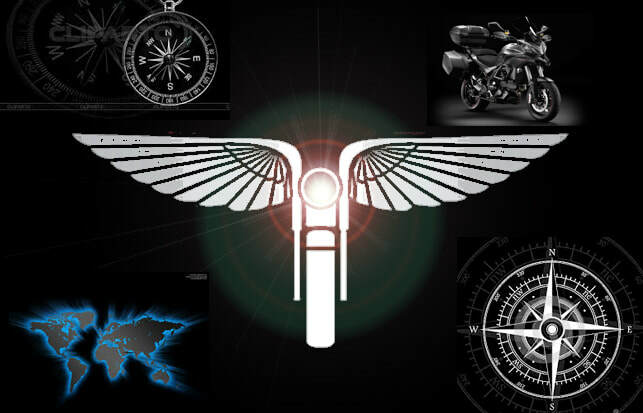 Biker Quest is an innovative, immersive, app-driven ARG adventure for motorcyclists. It's like a scavenger hunt . . . except with a compelling storyline, augmented reality clues, immersive theater and legend tripping. It builds community between players, both online and through group rides to extraordinary places. Your physical location can be included in the gameplay in return for 10% of sales made by players at your store. Likewise, products on your e-commerece website can be included in the game for 10% of direct sales. If you're only interested in brand exposure, we can incorporate your website in the game for $200. However you decide to participate, businesses will benefit from extensive online exposure. Players will post on their social media when they solve clues at your business, and you'll also benefit from our 50,000+ social media outreach. Last year's test game was a major hit, both with riders and participating businesses. Gameplay at Harley-Davidson NYC, for example, averaged a return of $30 a rider. This year, hundreds of motorcyclists in the NY tristate area will be experiencing Biker Quest through January 1, 2019. Participating businesses range from major brands like Revzilla, to local businesses like Under My Skin Tattoos. We also anticipate great press for this groundbreaking gamification of motorcycling. Contact us to reserve a spot in what EatSleepRide has called "a powerful new reason to get out and ride”. "Being a stop on the Biker Quest journey proved to be a positive decision that we will absolutely be making again! It helped spread awareness of our Manhattan location as well as adding to our day-of sales. Looking forward to next year's game!" "Being a part of the game was awesome! It was a chance to meet and teach the riders some things! I believe this game can be huge in such a big way." If you're a club, a non-commercial organization or host an event, and want to be included in the gameplay for free, contact us and tell us why. We can incorporate your organizers/volunteers, location, event or website directly into the gameplay. We emphasize positive, surreal, edifying and moto-activist efforts, and ask that your mission or suggested interaction be in line with ours. We welcome clubs and orgs to play together, encouraging camaraderie, epic group rides, and awesome shared experiences.